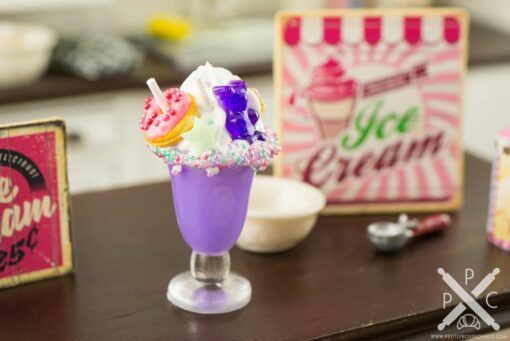 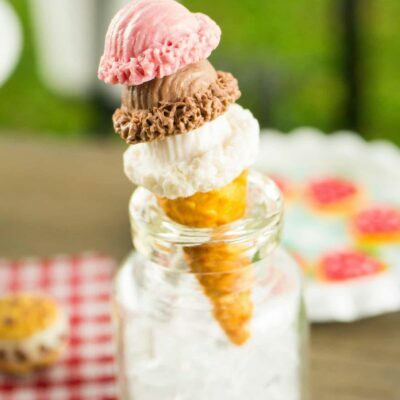 Dollhouse Miniature Purple Unicorn Freak Shake - Giant Milkshake - 1:12 Dollhouse Miniature - The Petite Provisions Co.
Freak shakes are one of the latest crazes to hit the food world! 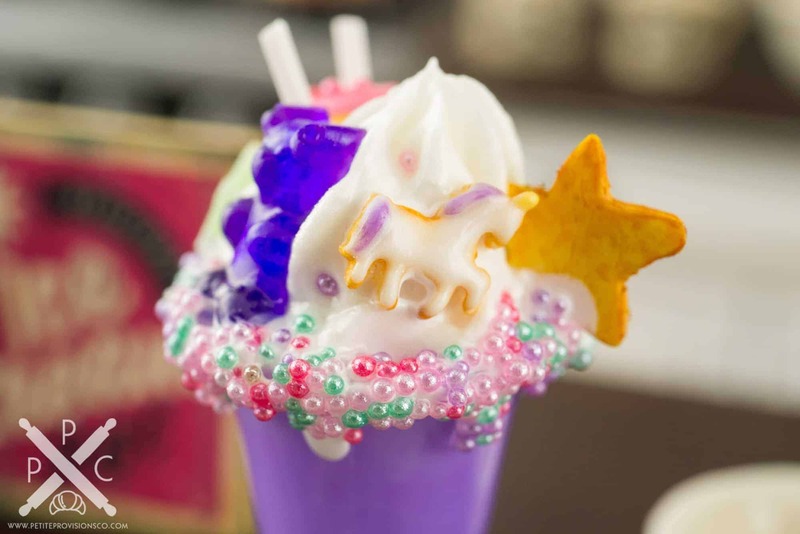 Pioneered by a NYC restaurant, freak shakes are monster dessert concoctions taking Instagram (and the city) by storm! 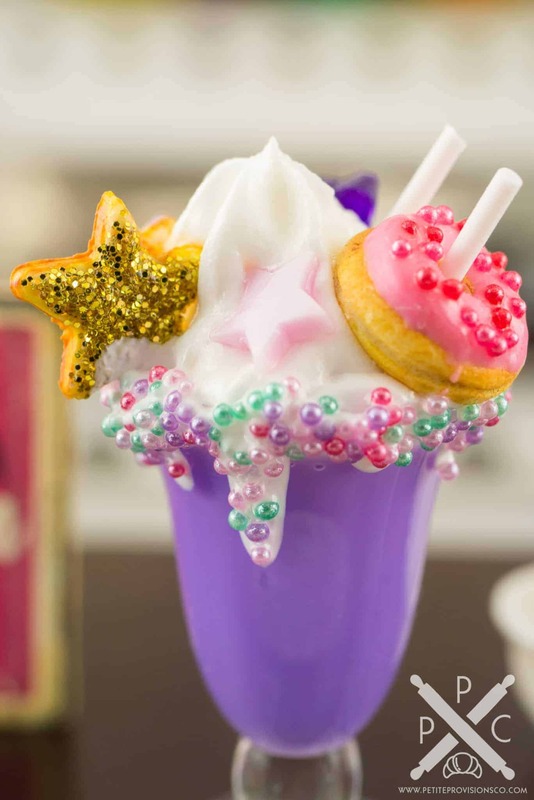 This larger-than-life purple milkshake is loaded with tons of colorful sweet toppings – even a doughnut. 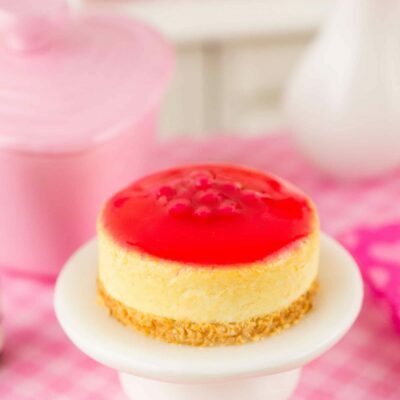 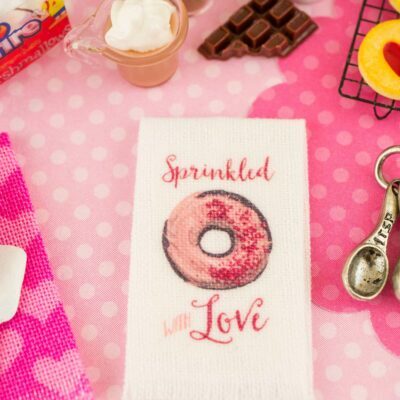 Whether you have a dollhouse or just love all things tiny, this mega milkshake is too cute to resist! 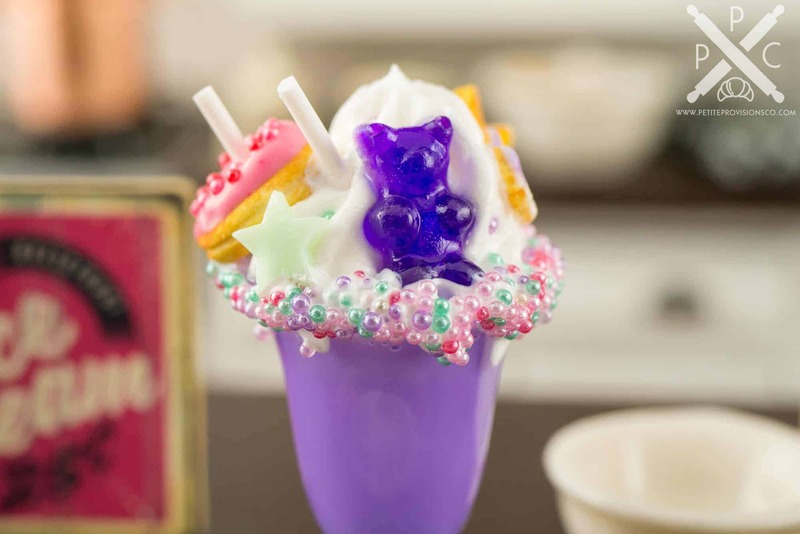 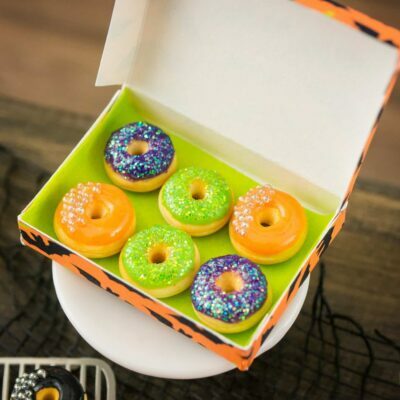 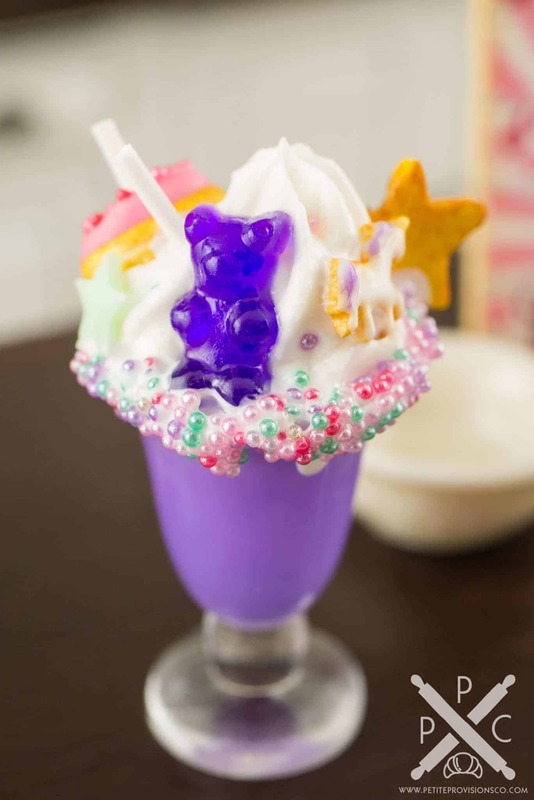 A purple unicorn freak shake loaded with whipped cream, sprinkles, a giant purple gummy bear, a doughnut, two straws, a unicorn cookie, a star cookie, and star-shaped candies.